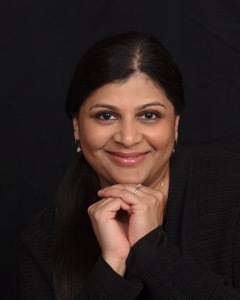 Dr. Sucheta Amanjee DDS has been practicing pediatric dentistry for over 18 years now. She has a unique way of connecting with kids with a flair for using her imaginations and her creative mind in the vocabulary that she uses with her patients. Being herself a mother of two, She simply adores kids and has a very good sense of humor. She has the ability to create a jovial and fun atmosphere with her vibrant energy and enthusiasm. Tooth Fairy Dental Center has been a dream come true and as she rightly says, "I relive my childhood and love to be a kid amongst kids." Dr.Amanjee has won numerous awards for her professional accomplishments. She has a number of presentations and publications to her credit. She has also won an award for Best Paper on her work in Salivary Remineralization and has been honored by the Asian Pacific Dental Congress. In her free time, she loves to read, play scrabble ,cook, frost cakes and spend time with her family. Member of American Association of Pediatric Dentistry. Member of California Society of Pediatric Dentistry. Member of Sacramento District Dental Society. Member of Indian Society of Pediatric and Preventive Dentistry.